﻿ Book Casa de Aruba, Shaba (Noord) - 2019 PRICES FROM $3,383! 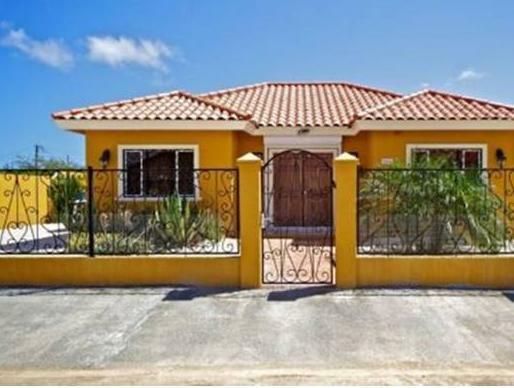 The modern Casa de Aruba in Noord features free Wi-Fi, complimentary on-site parking and a fully equipped kitchen. It is 10 km from Oranjestad. This tropical Three-Bedroom Holiday Home features contemporary décor, a seating area, dining area and BBQ facilities. It also comes with a furnished terrace, outdoor shower and a flat-screen TV. There is a large supermarket just 500 metres from the property for guests who want to cook, and a wide range of restaurants and bars can be found within 3 km of Casa de Aruba. Guests at this property will find Palm Beach a 5-minute drive away, and Arikok National Park, where guests can hike and camp, is just a 25-minute drive away. The property can help arrange tours and other activities. Queen Beatrix International Airport is a 20-minute drive from Casa de Aruba. Please note that a weekly amount of USD 100.00 will be charged for the use of water and electricity. Overage will be charged additionally. A security deposit of USD 400 is required upon arrival for incidentals. This deposit is fully refundable upon check-out and subject to a damage inspection of the accommodation.